There are basically 3 ways to share a location with somebody using an iPhone or an iPad. 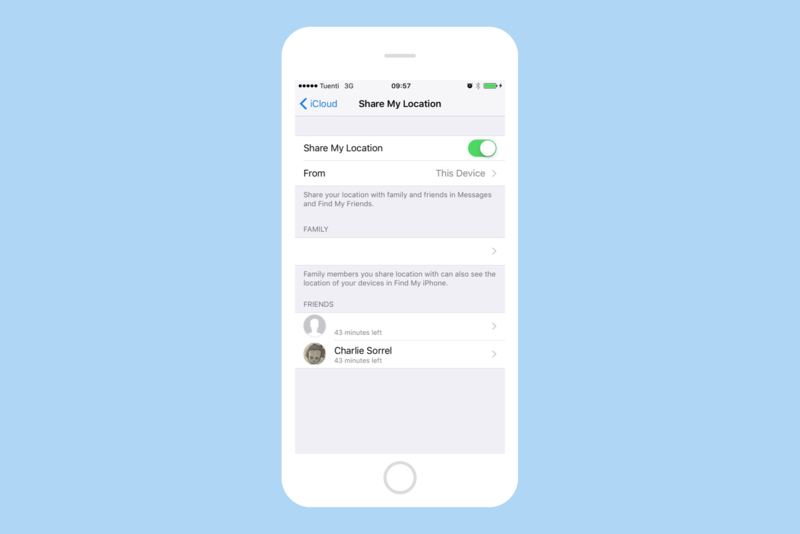 According Apple Support it’s easy to share your location with family members in Find My Friends or the Messages app. All details. To share your location in Messages, open a conversation with the person you want to share with. This can be an existing conversation, or you can create a new one. Then, tap the little i at top right, and in the resulting screen, tap Share My Location. More details. 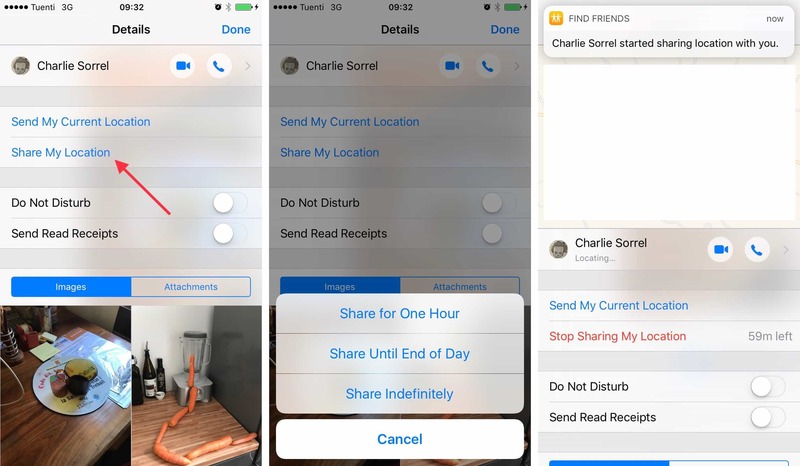 There’s another way to manage your location sharing on iOS. Go to Settings>iCloud>Share My Location (you’ll have to scroll all the way down to the bottom of the list on the iCloud screen). See more details. This is the nerve center for location sharing management.